Sensonic Professional | Water Pik, Inc. The Sensonic Professional features a new ergonomic design and a bristle speed that is 25% faster than other leading brands. 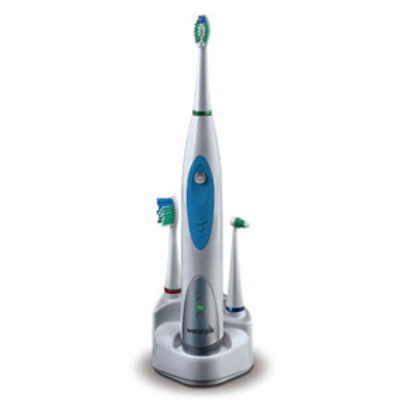 It features 2 speeds—one for superior plaque removal and one for gentle cleaning and gum massage—as well as a 2- minute timer and a 30-second quad timer.